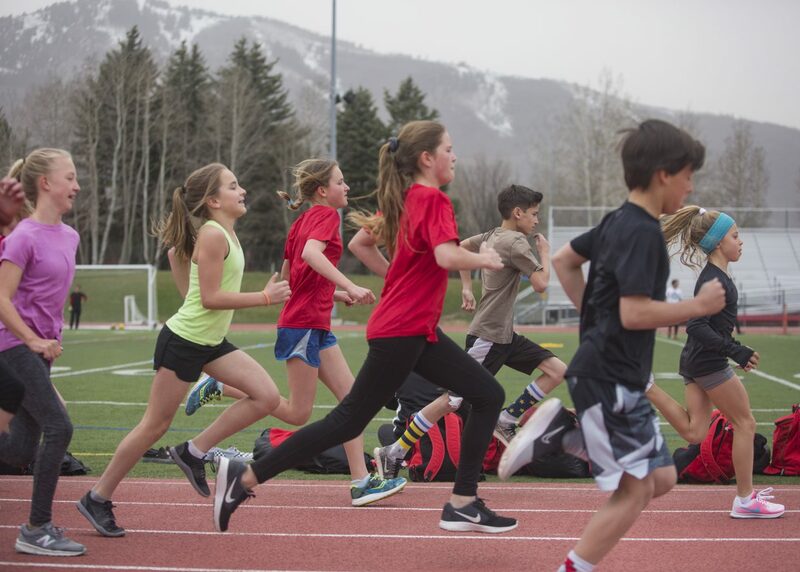 The Park City Running club is training for its first track season, and founder Rachel Taylor said the idea of the relay is looming large in little runners’ minds. 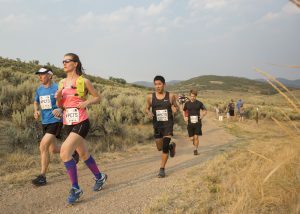 The club’s enthusiasm for passing the baton made adding the ninth annual Running with Ed race, a 38-mile costumed race around Park City, a natural fit among the seven other USA Track and Field races the club will participate in this year. 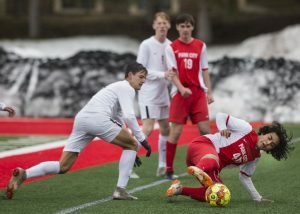 On Monday, about 40 young runners between third and eighth grade were dropped off from vans and cars and walked onto the track around Dozier Field at Park City High School. The team worked through warmups, then broke down into different running groups to work with sprint, middle- and long-distance coaches. Jennifer Billow, associate director of communications and development at the Park City Education Foundation, which organizes Running with Ed and distributes the funds it raises from registration and donations among 90 Park City School District academic programs, said the addition of competitive runners is exciting for the race. Known for its costumes, the colorful and fun check-in stations at the district’s schools along the race, and multi-leg format, Running with Ed is typically viewed more as a social function than a serious race, and attracting serious runners – young and old – adds diversity to the competition. 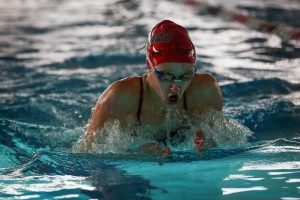 “We always have serious runners in the race, and there’s always competitive teams, but I think it’s exciting to have that growth,” Billow said. And make no mistake, the club’s runners are serious about the sport. 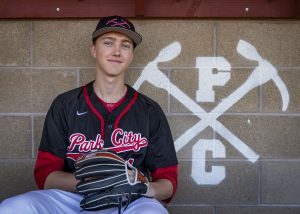 15 Park City Running club athletes qualified for the USA Track and Field Junior Olympics in cross country last fall. But that doesn’t mean they’re abandoning the race’s festive attitude, which is something Taylor, who teaches fifth grade at Parley’s Park Elementary School, has some experience with. She said she and a group of teachers painted themselves like bronze statues one year, and used Day of the Dia de Muertos themes another year. This year, Taylor and the Park City Running Club will be dressed in retro runner styles, à la middle-distance legend Steve Prefontaine. That means lots of sweatbands and high socks, which Taylor said will fit in well with this year’s theme that Parleys’ Park Elementary School’s runners and check-in station will adopt, which centers on the idea of the yearbook. The race’s 10 legs, each between two and six miles, include a grueling section that takes runners up the Utah Olympic Park’s ski jump stairs. For those that are wondering if the kids are up for the challenge, Billow said they’d be surprised how many kids enjoy that section. She said the race originally had concerns about kids’ ability to go the distance in the main, 38-mile race, and held a walkathon as a less-intimidating option. After realizing kids wanted to be part of the main race, the PCEF expanded the rules to allow for 10-person teams, instead of five, which let each member tackle a single leg. Taylor said most of her runners will be able to handle full legs on their own, though for the longer ones, volunteers and parents might run along with their kids. She isn’t sure yet who on each of the three teams will run the stair leg, but she’s not worrying about it. Registration for Running with Ed closes on April 20, and the is scheduled for May 19. For more information go to runningwithed.com.